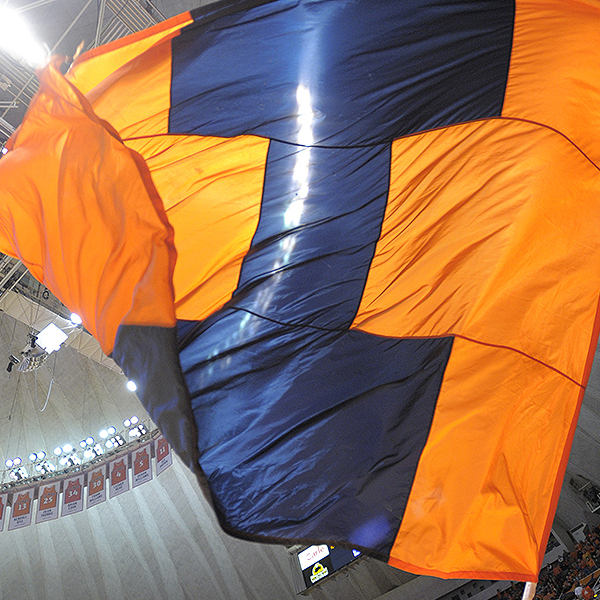 Click here to view your seat inside State Farm Center. 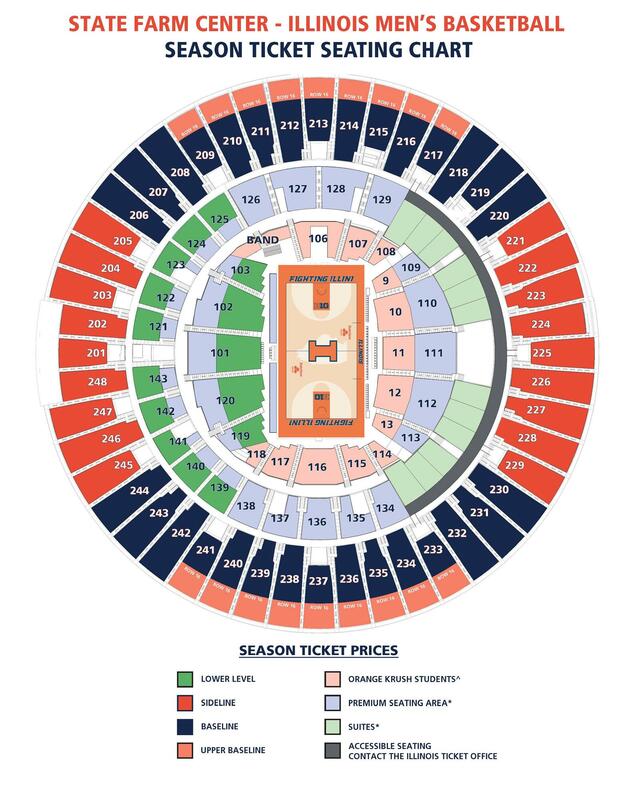 Download the State Farm Center Seating Map. Doors to State Farm Center open 60 minutes prior to basketball games. Guests are encouraged to arrive early for easy access to seats and services. 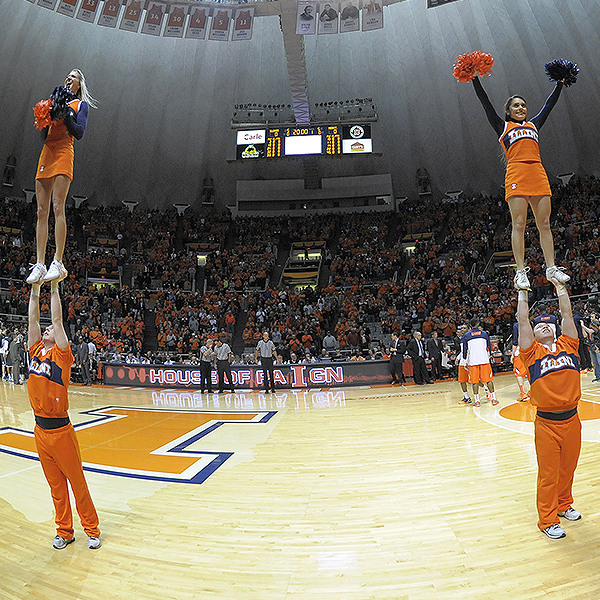 Accessible seating is available in several areas around State Farm Center. 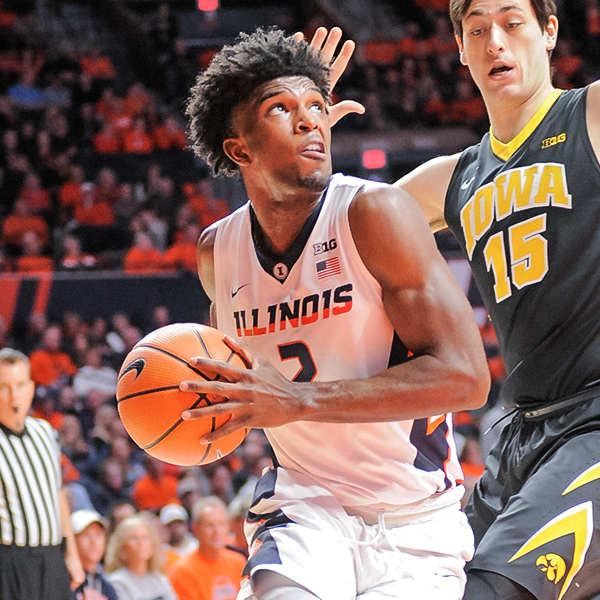 Please contact the Illinois Ticket Office at 217-333-3470 or 866-ILLINI-1 for information on availability. Parking lots open two hours prior to tip off on game day. Single-game parking is available on a first-come, first-served basis in the Research Park lots, just south of St. Marys Road. Parking fees for these lots are $9 per automobile. 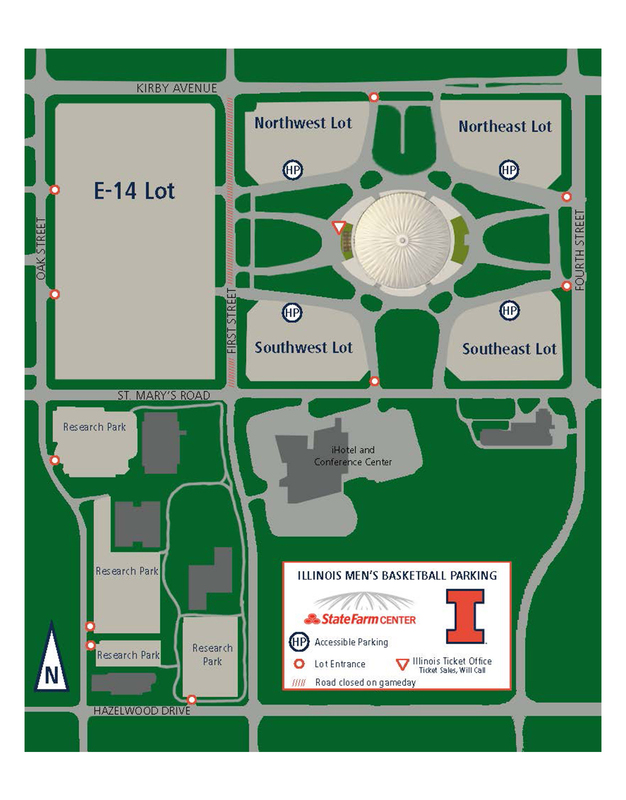 Handicapped parking spaces, including car-accessible spaces are provided in the three quadrants of State Farm Center. 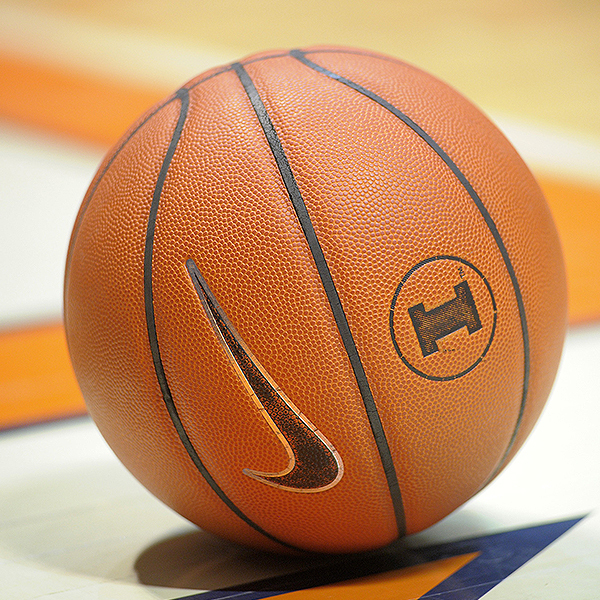 Basketball Will Call is located at the UI Athletics Ticket Office, located on the west side of the State Farm Center. Will Call opens two hours prior to tipoff. In order to obtain tickets at Will Call, a photo ID that matches the name on the order must be presented at the time of pick up. If tickets are not picked up, no refund will be issued. There are no refunds or exchanges on tickets sold through the Illinois Ticket Office. Refunds will be given at the discretion of the Athletic Ticket Office for customers with special/unforeseen circumstances. The University of Illinois Division of Intercollegiate Athletics does not receive an allotment of tickets for regular season away games. Please contact the host school for ticket availability. 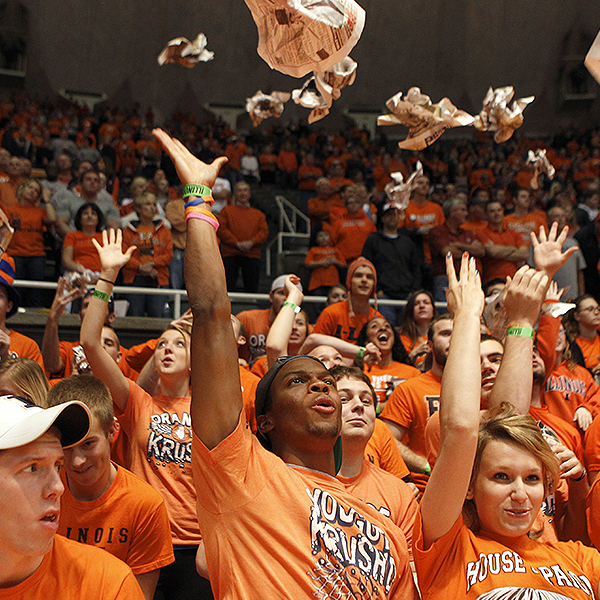 The Illinois Athletic Ticket Office will communicate any postseason ticket information as it becomes available. Sign up for Fighting I Mail to receive ticket alerts in your inbox. 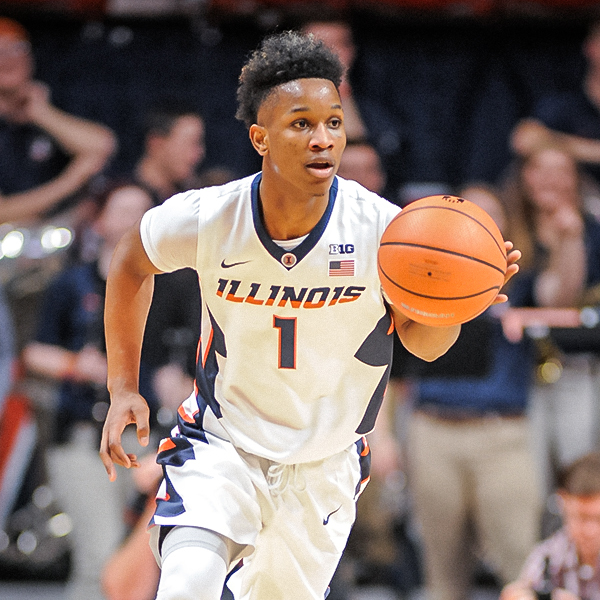 If you're interested in learning more about buying tickets to Fighting Illini men's basketball, fill out the form and a member of our Illinois Ticket Office will contact you.